Promote the understanding of agriculture in our community to improve the profitability of farmers and enrich the quality of life in Knox County. The Knox County Farm Bureau® is a non-profit, voluntary membership organization that was originally organized in 1918 to provide educational and general farm improvements for members. 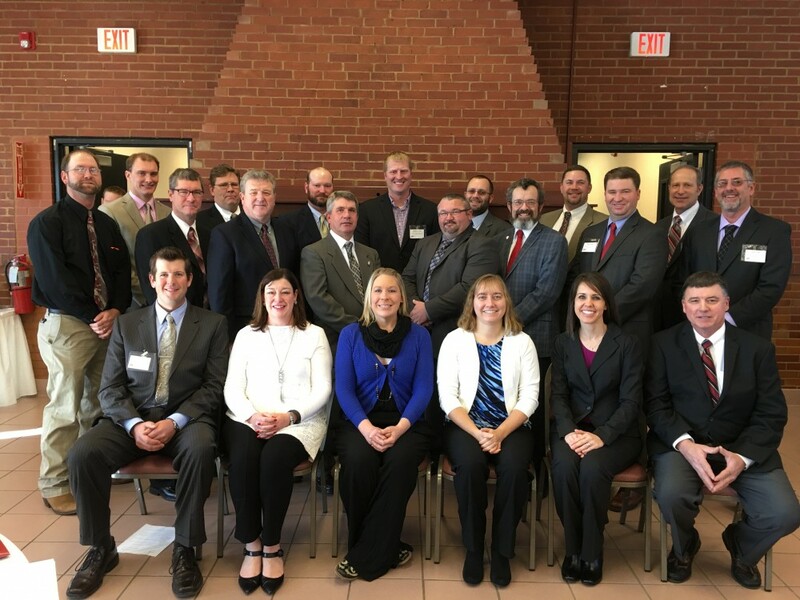 Since then, the Knox County Farm Bureau® has evolved into a powerful and respected voice that advocates for agriculture, assists farmers with legislative issues, and providing leadership opportunities for members of all ages. Learn more about the many opportunities available to our members. Click here to learn more about our membership benefits. Click here to get involved. The Knox County Farm Bureau's® office is located in Suite 101 of the Knox Agri Center, 180 South Soangetaha Road, Galesburg. The building was built through a condominium agreement with the University of Illinois Extension Service in 1979. The Knox Agri Center serves as a place to do ag-related business, attend educational programs, and offers a home to several businesses, organizations and 4-H Clubs. It is through the leadership of the organization, and from our volunteers' time commitment that drives the organization to accomplish all that we do. The organization functions in various capacities for all of our members, but everything that the organization does is done with our members best interests in mind. The organization's Committees and Task Forces provide our members with many programs, functions and opportunities that benefit Knox County's farmers, their operations, the ag industry and the entire community. For more information, check out our website. The Knox County Farm Bureau® is affiliated with the Illinois Farm Bureau®. Illinois Farm Bureau® is a member of the American Farm Bureau Federation®, a national organization of farmers and ranchers including Farm Bureaus in all 50 states and Puerto Rico, and is responsible for Farm Bureau® membership and programs within Illinois. FARM BUREAU® and FB® are registered service marks owned by the American Farm Bureau Federation. More information regarding the American Farm Bureau Federation can be found at www.fb.org.